Slash recently caught Motley Crue’s “The Dirt” biopic, and he was impressed. In a new interview with Chile’s Futuro 88.9 FM, the guitarist explained why he loved the film– and what he thinks about Guns N’ Roses following suit. So, what about a possible Guns N’ Roses biopic? 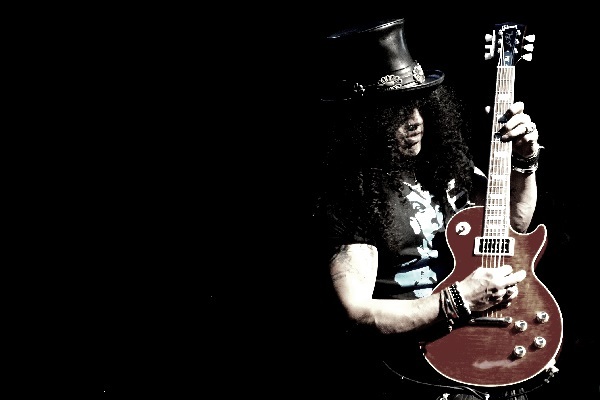 Even though Slash heads up his own film production company, he says releasing a biopic isn’t of interest to him. That said, Slash reveals that Guns N’ Roses has a large amount of film footage from Guns N’ Roses’ earlier days that could be made into some kind of cool film.